The most common types of bites — those nips and scratches — generally are not serious; however, dog bites can result in a variety of injuries. 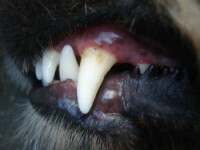 Typically, dog bites are categorized by their severity. Minor dog bites result in cuts, abrasions, bruising, scratches and small puncture wounds from the dog’s teeth. Serious injuries involve the head, neck and face and can leave gaping wounds, deep tissue damage and nerve damage. Bites may result in puncture wounds or “tearing” wounds caused when the dog’s jaw clamps down. The long canine teeth are what puncture the skin. Scratches, contusions and abrasions can result from the teeth or claws during the attack. Less serious puncture wounds may require stitches; however, more serious injuries may require surgery. Puncture wounds may not always bleed a lot, but be sure to seek medical attention as soon as possible to prevent infections. Dog bites cause approximately 44,000 facial injuries each year, which can result in permanent scarring and disfigurement. Eye injuries are common in children and can result in loss of vision. Injuries to the face can involve the nerves, muscles and bones requiring longer follow-up and possible reconstructive surgery to repair severe damage to the face. Scarring and nerve damage are some of the most serious injuries. Scarring can be permanent and nerve damage can lead to mobility issues and long-term pain. Scars on the face and other parts of the body can require painful and expensive plastic surgeries and can also lead to emotional insecurities depending on the severity of the disfigurement. Children with their smaller stature often suffer dog bite injuries to the head, neck and facial areas. 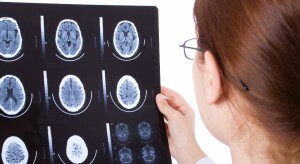 Head injuries range from a bump on the head to more serious injuries such as a fractured skull or traumatic brain injury, which can lead to permanent disability. Some dogs have extremely powerful jaws, which can result in crush injuries and broken, fractured and dislocated bones. Serious crush injuries can result in avulsion and amputation. Children especially can be traumatized by a dog biting incident resulting in lifelong emotional scars. This can appear in many different forms, including depression, nightmares, emotional withdrawal, flashback of the attack, unreasonable fears, thumb sucking, bedwetting, problems in school and more, affecting their lives now and into the future. It is highly recommended that a child be evaluated for emotional trauma no matter how severe the injuries to ensure they can cope with the event. A dog’s mouth carries infections that can be transferred to the bite wound. Most infections are treatable with antibiotics. All wounds should be cleaned immediately and ensure that the victim is up-to-date on his or her tetanus shots. Rabies attacks the brain and nervous system and is transmitted in the saliva of a dog infected with the rabies virus. It is fatal if not treated in time. Find out if the attacking dog is up-to-date on its’ rabies vaccine; if not, or if the dog is unknown, the dog bite victim will need to undergo treatment for rabies. Dog bites cause an average of 18 deaths per year in the United States. In this case, you may want to pursue a wrongful death lawsuit. Dog bite incidents can be extremely traumatic for anyone, especially a young child. Even when the physical injury is minor, a child could still suffer emotional effects for the rest of his or her life. If your child has suffered from a dog bite, learn more about holding the animal’s owner liable for injuries suffered, such as pain and suffering, medical and mental health expenses, future disability and future medical expenses. Contact our dog bite lawyers in Kansas City for a free, no-obligation case evaluation.